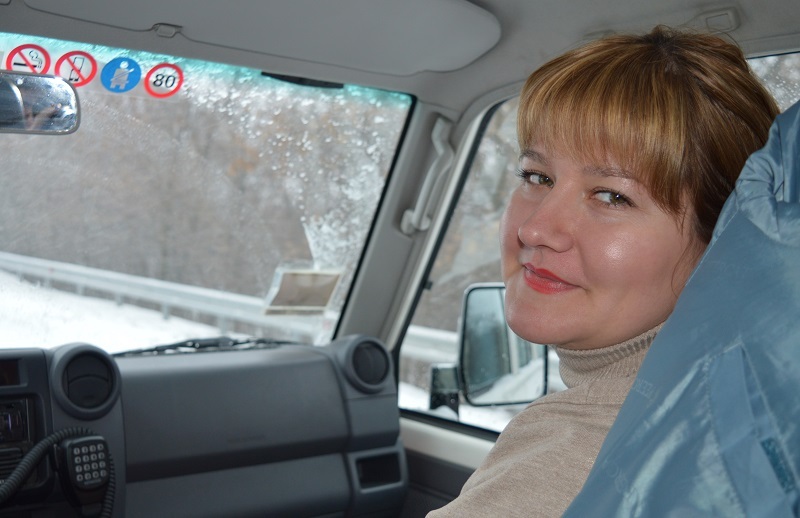 Sofya Reznik is a psychologist of the International Committee of the Red Cross. She was the first Ukrainian psychologist to join our team. Sofya now has almost three years of experience in providing psychological and psychosocial help to people who have experienced loss, trauma and other stress related to the conflict. Sofya, what motivated you to choose psychology as a profession and why did you decide to focus on helping people living by the contact line? On 11 September 2001 I saw a reportage about the attacks on the Twin Towers. I was shaken. I realized how many people died and what their loved ones must be feeling at that time. I started to ask myself if it is possible to help those who have found themselves in a similar situation, and if that is possible, then how to do it. How to support them, what to say? Looking for answers brought me to professional studying of psychology, especially the psychology of survival in emergency situations, such as armed conflicts and catastrophes. That is why working for the ICRC in the conflict zone represents my full professional self-actualization. It is everyday practice that equips me with professional knowledge and skills. 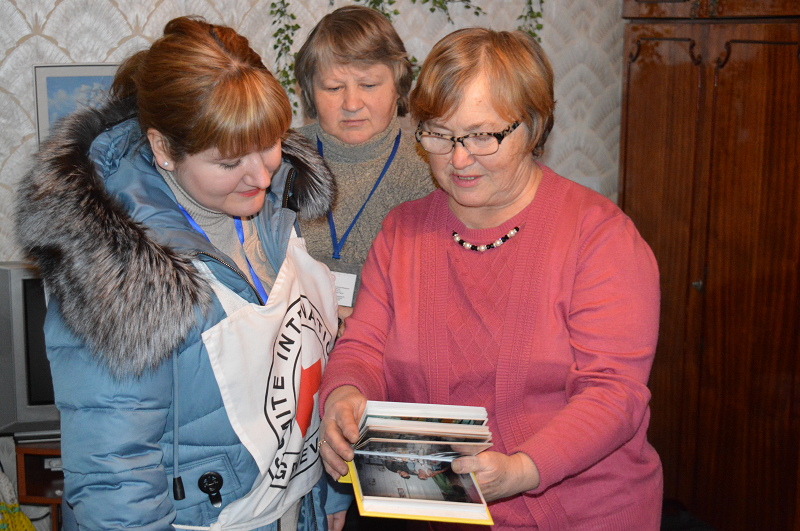 For me, that practice started by visiting isolated villages by the contact line along with the volunteers of the Ukrainian Red Cross Society. It is then that I looked into the eyes of a man who had lived through shelling, losses… It is then that I heard what he had survived and how, and how he had managed to cope with it, or not… Since August 2016, we conduct psychological consultations, which include talking with people, helping them express their feelings, empathizing, etc. And it is exactly that, which I, while still a student, had decided to do in life – have a possibility to help and console, support and inspire. What was your first project in the ICRC? My first project “Helping the Helpers” was tailored to support and train specialists who in their work meet with – and help – a large number of people. These are teachers, doctors, social workers, volunteers. The first goal of that project was to teach a person how to recognize signs of stress in himself and in others with whom he is in touch. For example, in schools, we familiarize teachers with the methods of work with students, as the child psyche is most vulnerable, and sometimes seeing symptoms of stress in suffering children is not easy. Such trainings can last up to six days. How do people react to your work? Is it easy for you to establish a professional contact with those who have gone through shelling or a loss of a dear person? We often encounter people who have been injured, have lost a close person or their home, have had to flee, and they have to start their life anew. But this did not break them. On the outside, they look strong, self-confident, and claim that they do not need psychological support. But, when you start to talk to them, and ask them about their experiences, they start to cry – that is how they find a way to relieve their strong but suppressed emotions. And it is then that they agree to participate in our programs, acknowledging that their pain is not gone and that they have to work on it. For me, there is always hope that the person will be able to overcome the consequences of difficult events and find what in psychology we call “internal resources”. One more barrier is the stigma regarding people who seek psychological help. That stigma is still prevalent in our society, and, as a consequence, many are reluctant to ask for such kind of help, as they believe that only those who have pathological issues need counseling. 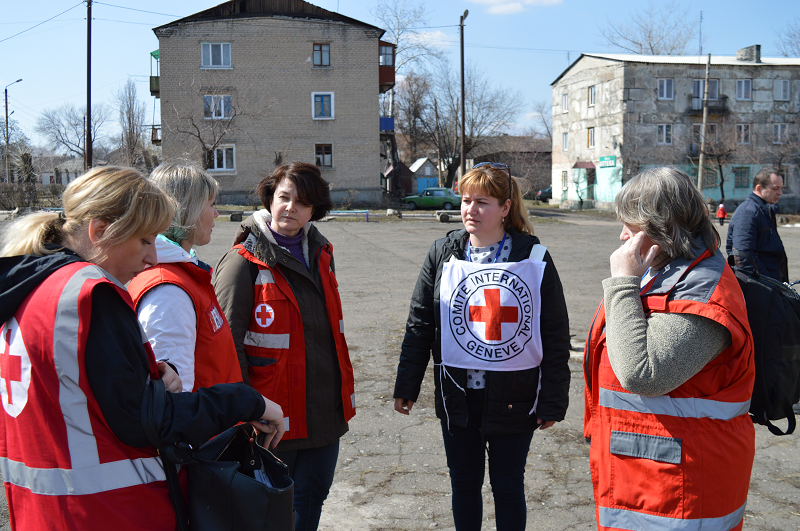 In our work it is the Ukrainian Red Cross volunteers who communicate with the local population. These volunteers are not professional psychologists, but they have undergone special training on how to provide help. We conduct trainings and consultations for them, we supervise and evaluate their work, and we jointly look into and discuss every case. For that reason, the help that we provide to the local population is professional, but at the same time it makes it easier to establish contact. Can a person who continues to live under shelling, without water, light, family, friends and connection with the world, regain control over their life? The first thing we explain to everyone is that we are not able to stop the conflict. Nonetheless, we can influence the feelings caused by the consequences of the conflict. We emphasize to our beneficiaries that it is important that they analyze the situation and have a concrete plan in place in case the situations deteriorates significantly, so that the beneficiaries could protect themselves as much as they can. At the same time, we teach them about relaxation methods and breathing techniques, train them on self-help skills, so that everyone would be able to deal with the situation on their own, when there are no psychologists or counselors nearby. The most difficult category are the families of missing people. Their situation is different from that of others, primarily because they continue living between two worlds: in one world, their beloved one is alive; in another one – he or she – is dead. This condition can be described as anticipation exacerbated by uncertainty. We help people to restore their so-called “inner resources”. With the help of a counsellor, beneficiaries find or build their own coping strategies for overcoming stress. For us that is the biggest award.